Whales live in a world of sound, in contrast to our world of sight. This is one of Ocean Alliance founder and president Dr. Roger Payne’s key messages about whales. What he means is that while our dominant sense is sight (i.e. how we see the world around us), for whales it is sound. 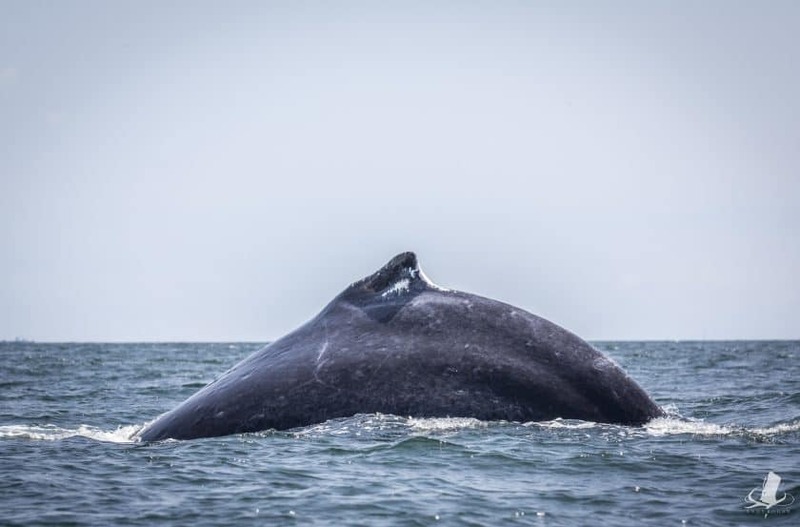 Whales use sound for a number of crucial behaviours: communicating with one another, finding food, escaping predators, navigating through their environment, and finding a mate. With that in mind, I thought I would look at a SnotBot expedition as if I, also, lived in a world of sound. This idea did not come to me in any profound moment whilst out on the ocean listening to the sounds of drones and whales. Rather it came to me whilst sitting in our apartment at the end of a difficult day out on the water. The tap/faucet was broken in the kitchen, gurgling and burping every few seconds; the A.C. unit constantly whining in the background; unfamiliar birds chirping outside; the sound of me breaking up bags of frozen peas (we couldn’t find ice packs in the town, which we need to keep the samples cold, so used frozen peas instead! ); the drone battery charger sending out a menagerie of different beeps, informing us of its progress; Chris, our engineer, appropriately playing some humpback whale songs we had recorded earlier in the day. The exclamations and gasps from airline representatives behind check-in desks (and indeed those of other passengers behind us in the queue) when they see how many bags we have. Iain discussing the latest rules and regulations governing what size li-po (lithium polymer) batteries (which power the drones) can be taken on a plane. Verbally communicated frustrations at our attempts to fit all our bags into the rental car. Discussions over our first dinner of where the SnotBot program is headed, what our hopes for the program are, any new locations we might like to take the program. 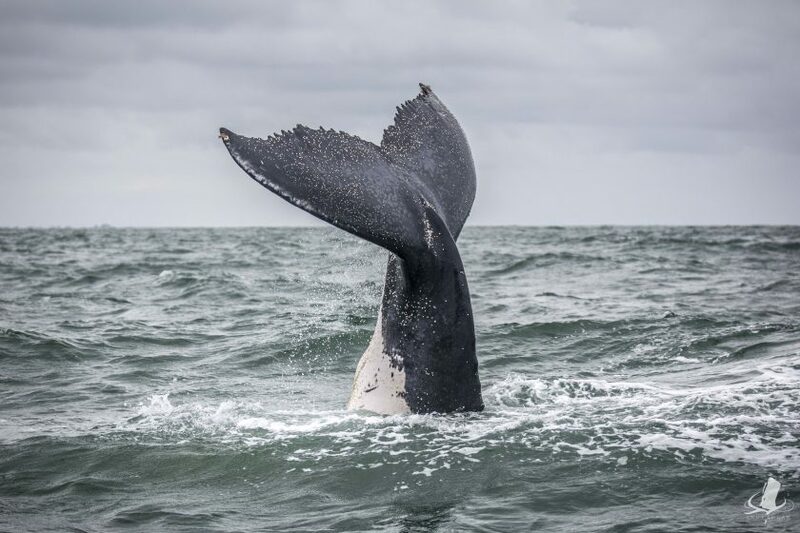 The first call, ‘WHALE, 5 O’CLOCK, 500 METRES’ (we use the hands of the clocks, with the bow of the boat pointing at 12, to direct other crew to a sighted whale). During our trip to Alaska in 2016 there seemed to be whales constantly breaching in the distance. We would see them breach, and then a second or two later the sound created from a 50-ton animal smashing into the water would eventually reach us. Me at the back of the boat, surrounded by petri dishes and coolers, trying to predict when the whale is next going to surface. People trying to direct Iain (who is face down in his screen piloting the drone) to the nearest whales. 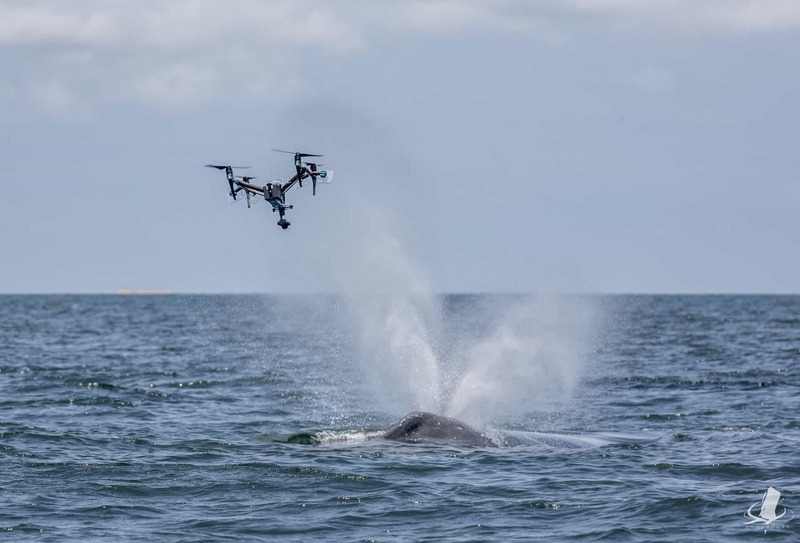 It is surprisingly difficult for those on the boat to accurately determine the direction and distance of a whale from the drone, particularly if the drone is far from the boat, and this discussion can be somewhat animated at times! 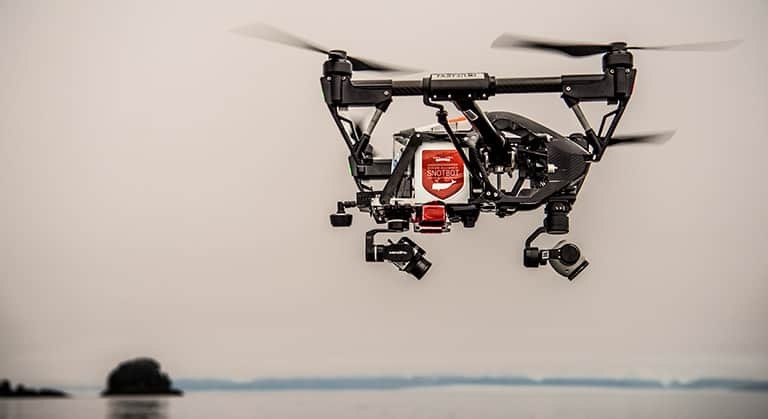 Of course there is the distinctive whirring of the SnotBot drone itself… The sound of engines ramping up as the drone prepares to take off, and winding down as the drone is caught. Christian making more stupid jokes. All these different sounds mean different things, marking success or failure, excitement or fatigue, happiness or frustration. To me, there is however one sound that stands above the rest. 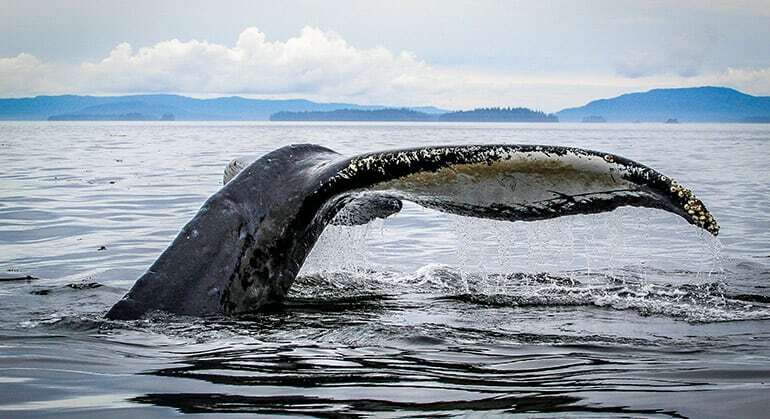 The sound of the largest animal on the planet taking a breath: the “blow” or exhalation of a whale. It can be a difficult sound to explain. At its most practical, it alerts us to the presence of a whale: you often hear a whale blow long before you see it. Indeed, with the mighty blue whales we have studied in the Gulf of California, you can hear the blow from well over a mile away! Sometimes, you also hear the whale inhale as well. This is more common with different species, such as fin whales, but is a wonderful sound — the sound of a vast cavern filling with air. Better than all of this is something altogether more intangible. On one hand this is such a simple, elemental behaviour. The act of respiring, of filling the body with the oxygen all animals need to survive. But in such a vast, extraordinary and enigmatic animal … it is something more. It represents one of the few times we are able to gain glimpses into the lives of these enigmatic and often elusive animals, as they breach the surface of the ocean to breathe. I could throw out so many superlatives about mighty leviathans rising from the depths of the ocean, or some other mumblings like that. It is an immense privilege just being able to listen to these wonderful animals breathe. And listening to Christian making more stupid jokes.